Strong power management features in Microsoft’s latest operating system, Windows 7 or windows xp 7,promise to enhance the longevity of the battery of your laptop.Windows 7 manages with less background activities and therefore doesn’t consume much energy and draw less power. This reduces the energy cost and enhances the battery life. Windows 7 also provides diagnostic tools that help manufacturers to troubleshoot the power management issues. The tools are functional in reducing power consumption, enhancing user experience and providing better way of managing power consumption.This, in turn, significantly helps businesses minimize energy footprint and reduce carbon emissions. Microsoft is strongly focused on reducing the overall power consumption by managing the performance optimization and device power management. The energy efficiency and longer battery life in Windows 7 are highly beneficial for portable computers. Moreover, better tools option is specially designed for the IT professionals as it will help them to resolve power management related issues.Power management issues in Windows latest avatar are more accessible and prominent than its earlier versions, which also allow the user to customize the settings. Power Management panel has been included in Windows 7, Microsoft has released a power management guide that describes Power Management enhancement in the operating system , and also includes instructions on reducing power consumption. Microsoft has included an enhanced version of ReadyBoost on Windows 7, a new feature that speeds up your computer even in a low memory situation by using flash memory, in its latest operating system Windows 7, scheduled to be launched on October 22. ReadyBoost, which also comes with Vista, make use of a USB flash drive or card as memory and it works with most of the flash storage devices. In Windows 7, it can handle more flash memory and even multiple devices up to eight, for a maximum 256GB of additional memory. When you plug a ReadyBoost-compatible storage device into your system, the AutoPlay dialog box offers you the option to speed up your computer using ReadyBoost. If you select this option, you can choose how much memory on the device to use for this purpose. When you set up a device to work with ReadyBoost, Windows shows you the space recommended for an optimal performance. For ReadyBoost to effectively speed up your computer, the flash drive or memory card should have at least 1GB of available space. If enough space is not available for ReadyBoost, you’ll see a message asking you to free some space on the device if you want to use it to speed up your system. You can enable or disable ReadyBoost for a specific flash drive or other removable storage device. Follow the given guidelines to enable this feature in Windows 7 . STEP1: Connect a flash drive or flash memory card into your computer. STEP2: Click Speed up my system, in the Autoplay dialog box, under General options. To turn ReadyBoost off, click Do not use this device. To use the maximum available space on the flash drive or memory card for ReadyBoost, click Dedicate this device to ReadyBoost. Windows will leave any files already stored on the device, but it will use the rest to boost your system speed. To use less than the maximum available space on the device for ReadyBoost, click Use this device, and then move the slider to choose the amount of available space on the device you want to use. Thinking 128-bit Microsoft Windows 8, Windows 9: According to LinkedIn profile assumed that an employee of Microsoft Research, Microsoft is working on the compatibility of the 128-bit architecture of Windows with the Windows 9 and 8 cores. Consequently, the company also is building relationships with key partners, including Intel, AMD, HP and IBM. Some 97 percent of testers Intel recommends Window 7: Intel has thoroughly tested Windows 7 and has given the green light for their own use. The company will begin replacing Windows XP on their machines next year. Windows Mobile 6.5 comes with new market timing cloud: Windows Mobile 6.5, Windows Mobile Marketplace, and Microsoft My Phone has everything officially launched today. This is an important release for Microsoft and its smartphone strategy, setting the stage for next year's launch of Windows Mobile 7.0. Bill Gates down $ 7 billion, even richer in America, Job # 47: The 2009 "400 richest Americans' list has been released by Forbes magazine, and technical teams are doing well in qualifying. Bill Gates remained the top, but the list shows that the global recession stole a pile of cash, even the ultra-rich. Microsoft announces ad-supported Starter Office 2010: Microsoft has announced the start of 2010 Office, reduced functionality and ad-supported version that includes only Word and Excel. It is intended as a replacement for Microsoft Works and will only be available in new computers sold by manufacturers of equipment. Google tells employees: can no longer be a Microsoft MVP: Google has advised an employee who has been Microsoft MVPs since 2003 that should no longer receive the award each year. Report: Thousands of passwords from Hotmail Posted: Thousands of details of the password for Windows Live Hotmail accounts may have been posted online for all to see. September 2009 browser statistics: IE sees biggest drop yet: Internet Explorer had its biggest fall ever as Firefox and the rest of the pack continue to eat away at its market share. Details inside. EU, Microsoft have agreed on the ballot browser tests to start soon: Microsoft and the European Commission have agreed on the vote of the browser and future Windows users will use to select a browser default of their PCs. Unless there is a huge scandal about the latest proposal, the EU research to Microsoft, which allegedly anticompetitive grouping browser soon to end. Everyone has a taste in music, movies, books, food, etc. Then why can't people have preferences of web browsers. I know, it's sort of a nerdy fascination, but I think if you choose a good web browser for your personality, you will enjoy your Internet experience more than ever. I know I was never satisfied using Internet Explorer, so I sought a better companion. You can too. Use this as your guide. Internet Explorer (Stern, conservative user): Once Netscape met its downfall, Internet Explorer was the only player on the block. As do most things that have hegemonic power, Internet Explorer became conservative in its offerings and frankly fell behind a bit. While it is useful for opening anything imaginable, it is slow, broody, uneventful. It is an old institution that is useful only because of its power, market share, and eternal image. 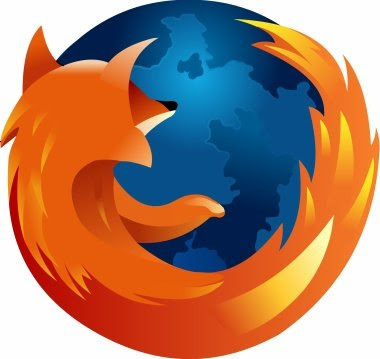 Firefox (Serious, inquisitive user): Firefox erupted onto the market as the only viable alternative to IE. To compete with IE, it had to implement new ideas, a few of which became standards throughout the industry. Anyone in business who does not use IE, uses Firefox for their browsing (including myself). It is a serious browser, but one that has always been cutting-edge. Opera (Experimental, adaptable browser): Opera, like those crazy fish at the bottom of the ocean that look like ghouls, always attracts attention for its alternative ways. They dominate on mobile devices, netbooks, and nettops, while failing to attract business users. Opera seems like it can be sustained anywhere, be used anywhere, but it still hasn't really got on the radar. This browser, I have to say, worked great on my Eee PC 700 Linux-version. It was twice as fast as Firefox. Chrome (Young, electrifying browser): Chrome is the browser I've been using at home for the past couple of weeks. I'm impressed by its speed and cool features like using the URL box for you Google search and Incognito mode (security mode). It has a long way to go, but I'm convinced that it will usher in the next big Internet thing: full-fledged applications run out of the browser. Chrome, in its youthful vigor, would be the best at doing this. You can add keywords to your bookmarks for easier and faster access. From the Library, just add a short keyword in the keyword field, and you’ll be able to access that bookmark by simply typing that keyword into the address bar. For example, you could give your del.icio.us account the “links” keyword, and from then on simply typing “links” into the address bar will take you right there. If you’re an advanced Web surfer who frequently needs to save and track a variety of specific sites, here’s a useful time-saver: using Firefox 3’s Library, you can create and save searches into folders that are then automatically updated as you add sites to your bookmarks and history. First, open the Library by selecting the “Organize Bookmarks” option from the Bookmarks menu. Then, enter your search terms in the search box. Then click the Save button to create a Smart Folder. If you’re a frequent downloader, you can use the download manager window to keep track of all your downloads. You can pause and resume downloads, and save yourself time by opening files directly from the manager. If you need to track down a past download, go to Tools → Downloads and use the search box to find your file. Once you’ve found it, double-click on the file to open it, or right-click and choose “Copy Download Link”. Now you can use Web-based protocol handlers to provide quick access to your favorite Web applications. For example, you can set Firefox up so clicking on a mailto: link on any site will open a new message in your preferred webmail provider rather than your computer’s default mail program (note: this feature is only available with webmail services that have registered with Firefox 3). Go to Tools → Options → Applications to select the default application for each protocol or to select “Always Ask” if you prefer to choose the application yourself every time. If you’re a Web app developer, check out more about how to add support for Web-based protocol handlers in the Mozilla Developer Center. With all its settings and add-ins, Firefox is a wonderfully configurable browser. Yet there's no obvious way to backup any of those configurations, or to move them to a new computer. There isn't even a clear way to save your bookmarks. First, close Firefox. Doing this while the browser is running will be disastrous. Once it's closed, select Start, then Run, type (with the percentage signs) and press Navigate the resulting Windows Explorer window to (in other words, open the Mozilla folder inside your current location, then the Firefox folder inside that, and so on). Now that you're in the Profiles folder, you'll see another folder with a random name and the extension .default--something like 4hw0enat.default. That's what you have to back up--that folder and all the files and folders inside it. Copy it to a safe location. First, you'll have to install, run, and close Firefox on your new or newly setup PC. Then use the instructions above to find your new Firefox installation Profiles folder. Copy your old .default folder from the backup into that new Profiles folder. You'll now have two .default folders in Profiles. With the one you just copied selected, press to rename it, to copy the name, then to not rename it, after all. Move up the folder tree to the containing folder, which is called Firefox. Double-click the profiles.ini (Configuration Settings) file to open it in Notepad. The last line of this file begins with Path=Profiles/. Select the rest of that line (everything to the right of the slash), and press to insert the name of your restored folder. Save the file, then open Firefox and everything should come up the way you want it. Mozilla temporary closed its online e-store late Tuesday after getting out that the firm it hired to run the backend operations of the company's e-tailing business had suffered a security breach. It was cryptic whether the vendor, St. Louis-based GatewayCDI, which bills itself as a "promotional articles benefactor and allurement company," notified Mozilla or whether the browser maker found out about the breach some other way. "Today, Mozilla apparent that GatewayCDI, the third-party bell-ringer entrusted to run the backend of the Mozilla Store, suffered a security breach," Mozilla said in a warning on its Web site. "Once notified, we took the actual preventive step of shutting down the Mozilla store to ensure that no added users could be compromised." Mozilla as well took the all-embracing copy of its e-store offline as a precaution, although that accomplishment is maintained by an abstracted partner. Late Tuesday, both store displayed letters that they were "closed for maintenance;" neither message, however, spelled out the reason. The store advertise promotional items, such as T-shirts, backpacks, coffee mugs and abrasion pads emblazoned with aggregation logos, as able-bodied as the Firefox browser on CD. Mozilla's advertisement did not detail the extent of the breach, what advice hackers ability accept accessed or stolen, or how the aperture happened. GatewayCDI was not accessible late Tuesday, and there was no notice on its site that it had sustained a breach. According to Mozilla, its online store may be shuttered for some time. "The store will alone be reinstated already we accept a satisfactory affirmation of advancing login security and data privacy," the company said. This situation was the first for Mozilla, an open-source developer that prides itself on its operational transparency. The company's Firefox accounts for about 22.5% of the browser market, according to lots of recent data from Web metrics firm Net Applications. Earlier Mozilla Firefox was in our news if it appears its 3.0.12 update. The company has now appeared that its Firefox 3.5.2 and 3.0.13 updates are accessible for download. This is all allotment of the company’s advancing security and stability update process. The latest offerings are accordant with Mac, Windows and Linux systems and can be downloaded chargeless of charge. Mozilla encourages the users of its Firefox browser to advancement their systems with the new releases. For users who already acquire Firefox 3.5 or Firefox 3, will accept a update notification automatically. This will probably take place within a couple of day’s time. They can as well manually administer the updates by beat on ‘Check for Updates’ which is located in the Help menu. The users of Firefox 3.0.x are as well recommended to advancement their browser to Firefox 3.5.2. They can do this by downloading the advancement from the Firefox website. They can as well do so by going to the Help menu and ‘Check for Updates’. Mozilla on Monday issued an update for Firefox that fixes serious security bugs in the accepted open-source browser, including one exposed last week that could accomplish it simple for attackers to spoof SSL certificates acclimated to defended websites. The vulnerability meant Firefox could be tricked by rogue certificates, a potentially dangerous alarming that could permit attackers to create convincing-looking forgeries of websites used for banking, email and other added sensitive services. The address works by abacus a simple absent cord appearance to several affidavit fields and was apart appear at the Black Hat aegis appointment by advisers Moxie Marlinspike and Dan Kaminsky. "We strongly recommend that all Firefox users upgrade to this latest release," a statement on Mozilla's website read. The SSL vulnerability permitted Marlinspike to actualize what he called accepted wildcard certificate that acquired Firefox to authenticate every domain name on the internet. He did so by applying for a accustomed certificate for his website thoughtcrime.org. In the commonName acreage he listed the website as *\0.thoughtcrime.org, causing the browser to accept the certificate was universally valid. The vulnerability was repaired in version 3.5 of the browser, according to this archive of security advisories. Curiously, the archive shows the aforementioned aperture getting acquainted in adaptation 3.52, which was appearing Monday. Separate security advisories for 3.0 appearances it was as well fixed in version 3.0.13. Mozilla said three of its added products - Thunderbird, SeaMonkey and NSS - are accessible to the aforementioned attack. Presumably, fixes for those applications will be forthcoming. The application brings the latest version of Firefox to 3.5.2. For those who are unable to advancement to version 3.5 of the internet browser installation, the open-source accouterments issued a application that brings the earlier version to 3.0.13. The vulnerabilities administer to the Windows, Mac and Linux platforms. Marlinspike said a lot of internet client-side software that implements SSL are accessible to the null-string bug, so we had expect this to be the aboriginal of abounding patches acclimation that vulnerability. Remote managed services are gaining a lot of attraction these days. Companies are looking to outsource the maintenance and monitoring of their IT infrastructure to a third party to improve efficiency and save costs. BizTech2.com caught up with Uday Challu, founding partner and CEO, iYogi, to see what the company has to offer in this space. As far as Enterprise and SME customers are concerned, which verticals are you focusing on? Our focus will mostly be on small companies with around five to 100 users and also firms that have multiple small branch offices like travel agencies, retail stores etc. What kind of support services do you provide to your customers? What is the Green PC service? iYogi provides the next generation of remote computer support services for consumers and businesses. For consumers, our live 24/7 support extends to technologies we use everyday, including hardware, software applications, devices, peripherals and networking equipment. iYogi also offers a full range of business IT solutions including managed monitoring, managed services, set-up and installation services, and incident-based services. With the current state of the global climate and increasing dependency on the computer, iYogi helps PC users reduce their carbon footprint and save money at the same time. iYogi’s Green PC service is the first in the independent computer support industry to offer customers a way to save money, conserve energy and protect the environment by optimising their PC’s efficiency. Consumers and businesses can save up to $200 per year, per desktop, in energy costs with iYogi’s Green PC application. This green application makes the computer environmentally friendly by reducing power consumption by almost 50 percent. What are the technologies that allow you to offer 24/7 support and ensure there is no downtime at the client site? We have invested significantly in developing a comprehensive monitoring and management tools stack. This enables us to manage and monitor all devices in the office network as well as for branch offices and mobile users. Our tools continuously monitor the customer’s network and notify our NOC (Network Operations Centre) in case of problems. Based on the set of events, tickets are automatically generated and escalated to corresponding teams. Over and above our proactive approach, the customer always has an option to call our 24X7 support line for issues that are not identified via the monitoring tools. Please throw some light on your proprietary iMantra technology. iMantra is a CRM system, which is tailor-made to suit the emerging business needs at iYogi. It allows for the formation of individualised customer relationships with the aim of providing personalised services to each subscriber. This tool is built on the latest java technology with a layered architecture that makes it scalable and secure. This architecture provides a seamless workflow and independent channels for various business needs: sales, support, quality and customer service. The entire system can be exposed in the form of secure APIs and Web services, which makes it a re-usable entity. Your business model is similar to BPOs in India providing technical support to offshore customers. What unique values do you bring to this ecosystem that would help a potential client choose you over a competitor? - Direct-to-consumer and -small business: iYogi delivers technical support services directly to consumers and small businesses and is a global technical support brand based out of India. Unlike traditional BPOs in India, iYogi does not provide any private label support and/ or work on behalf of large OEMs or software publishers. - Optmised Processes: iYogi has developed proprietary processes for consistently delivering on a resolution rate of 87 percent, which is among the highest published benchmarks in the support industry, where averages hover in the range of 50 percent. - Comprehensive technology platform: iYogi’s global delivery platform, iMantra, gets smarter with every customer interaction. It documents every problem, the solution and relevant hardware and software aspects, while capturing each customer’s demographic information and creating a behavioural profile. All of this information is at the fingertips of iYogi’s Global Tech Experts. This set-up combines a knowledge base with a comprehensive set of tools and technology expertise. iYogi offers a range of tools that complement its remote support services for helping customers maintain technology at peak performance levels. iYogi’s products include iYogi Smart PC Scan, iYogi Support Dock, iYogi Green PC and iYogi PC Optimization. How do you plan to move up the value chain in the times to come? The growing use and penetration of the Internet and new Web-based applications has consequently opened the door to threats and vulnerabilities, which affect the system performance and ultimately lead to degrading performance. If the threats are diagnosed early on, the impact on efficiency can be minimised considerably. Currently, a user only realizes that he needs technical support once the damage has occurred and reactive methods of support are used to recover from the loss. At iYogi, we are developing our capabilities to not only provide support when demanded, but to also monitor, pre-empt and fix threats before they can cause any damage to the computer. This will be possible only by combining technology with processes that are capable of re-defining the way technical support is delivered today. What is your India strategy? Technically, we are capable of servicing any geography including India. At this stage, we are looking for the right kind of partners to find access to potential customers and provide them a consolidated, 360-degree solution and services for issues relating to hardware, software, network etc. We aim to launch our India services in the coming six to eight months. Our services will offer clients a one-stop solution for all their business needs. MeasureIt allows you to quickly jump out of an on-screen "ruler" to measure the sections of your site. Allows you to Quickly set up a screen of the "rules" to measure the sections of your site. Quickly determine the space Between certain parts of indentation, such as determining the space between the fast parts, such as indentation. Lori is a "life of the request for information." Means "of the information requirements of life." It tell you to do is Valuable information on how long it takes for your page, this is how much and how many people have requested. To load the page. However, valuable information is the time it takes your page Show how he, as well as how many people have requested is loading this page. The first figure shows the time it takes to see the return of the first byte from the server (from your Click the first byte received by your browser). The first figure shows the time it takes to see. The first byte is the return from the server (from you click the first byte received by your browser). This is Show seconds (up to thousandths of seconds). It shows in a matter of seconds (to the thousand Second). The second figure is the time to show the page (from click to complete your rendering the web page). Similarly, the time display in a matter of seconds, to the thousandth of a second. Third, the time is ripe Shown in a few seconds, until the thousand of a second. The third group of figures show the total page size (number of bytes / kilobytes / megabytes used to display the web page). The third group of figures show the total page size (number of bytes / kilobytes or megabytes Used to display the page). This value including bytes and bytes fetched from the server extract Browser's cache. This value includes bit far-fetched far-fetched from the server and the bytes of the Browser cache. The new Firefox window. If this were not enough, it allows you to specify the application of a totally different To your sources (Notepad, a text editor - no matter your choice of HTML editor East). IE browser that the Lite-Lite is a self-explanation. Is quite clear. It allows you to view web pages. IE browser. It allows you to view the page in IE browser. It has several advantages and a similar expansion. He has a Other advantages from the expansion of a similar angle. 1) it is smaller, 2) it allows you to specify the Safari Browser instead of IE if you are using OS X in 1) This is a small country and 2) it lets you specify the IE browser instead of Safari If you use the OS X operating system. "Experts", it is useful to investigate the basic things. I use a lot recently (the subject of a new "help") to Determine which part. Caused by the CSS files allow such a thing, they do so. Webmonkey has a good tutorial on If fireflies entry interface seems a bit daunting. It is worth noting that, fireflies have been saved.hours of frustration I have in the past week. If your browser crashes, you should always run in safe mode applications. When you run the Firefox browser in safe mode, it will run non-expansion and add-ons. If the expansion is incompatible, then the collapse of Firefox often. That is why it is running in safe mode is the best option. If the browser no longer crashes in safe mode and then clear the issue of expansion and plug-ins. One obvious solution is to disable the plug-ins. Disable plug-ins, follow these steps: Click the Tools menu, then select Add-ons option. You must then go to Plug-ins tab, or disable the plug-ins do not need to completely remove the problem, disable all of these is a wise decision. Disable unnecessary expansion: performing the same steps above, you can disable expansion. If in safe mode, Firefox browser, the collapse will not happen, you must disable the extension. If Safe Mode does not solve the problem then the best approach is to use compatibility mode, and then completely uninstall the browser, and then re-install it. Clear Private Data: Another reason is the collapse of Firefox, for some time now, download history will be damaged. When this occurs, download the file. To clear the cache, you need to select 'Clear Private Data from the Tools menu, and then clear the rubbish. You should always clean up the private sector, which is indeed a very good idea. Completely uninstall and reinstall Firefox browser: this is the best choice and the most easily attained. You need to do is to clear the configuration file folders, and to ensure that there is not damage or traces of the old facilities. You have to re-install the software. To ensure that doing these things, you have a backup of all. Manually back up your saved passwords and bookmarks: retained backup, you need to install the extension password exporters. Once you have installed, open the Add-ons window now, and then click the Options button, which is on the extension. The use of the button, you can export passwords. Mozilla released Firefox 3.5 last month. Release is important to them, because they deal with the challenges brought about by both Google Chrome and Apple Safari. The next major update is scheduled for sometime next year. 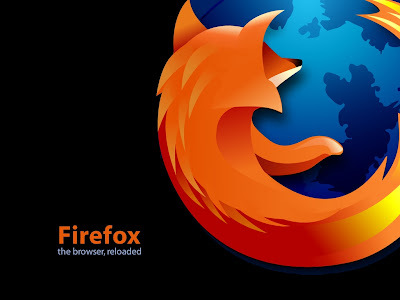 Mozilla Firefox browser has been code-named 3.6 Namoroka. A number of key areas of this new version is expected to: Improved performance (especially in the user interface would like to start-up time). Google Chrome to Firefox may be development of a nightmare in the next few months. Google has introduced a new version of a monthly basis. The new release features and enhancements for the development of channel users is almost once a week. Remains to be seen in our Web browser in the same time within one year from now. This document explains what cookies are, what they serve, and how to configure Mozilla Firefox to control how they are stored on your computer. Cookies may also contain personal information used to identify you or contact you, such as your name, address or phone number. However, a site from accessing the information you have given him. Thus, it can not guess your e-mail or access other information that you do not have data. If you want to allow sites you trust to store cookies (eg to allow you to automatically identify a site), click Exceptions, enter the address of the site, and click Allow. Sometimes a website can display content hosted on another website. This content can be presented in any form from an image to a text or an advertisement. The other host has the ability to store a cookie in Firefox, even if you have not visited the site directly. Allow: To allow this particular cookie, just click on Allow. Use this if you trust the site. Permit during the session: If you want to allow this cookie for now, but it was deleted when Firefox is closed, click Allow in the session. Use this if the site does not work without cookies, but you do not want a permanent cookie for this site. Banning: If you do not want a cookie is created, click Prohibit. Use this if you do not trust the site or if you suspect that jeopardize your privacy. Apply this choice for all cookies from this site: Check this box before clicking on a button if you want Firefox to remember your decision and do pose the question in the future. The site will be added to the exceptions window cookies, where you can change your choice if you change your mind later. Access this window by clicking the Exceptions ... button in the options preferences cookies. You can define, for some sites, exceptions to general preferences options cookies. Using exceptions, you can allow all cookies, reject all or authorize but removing the closure of Firefox, regardless of your other cookie settings. Use the Cookies window to view and delete cookies. To access, click the Show Cookies button in the options preferences cookies. To delete cookies from a site, select the site and click Delete Cookies. To remove all cookies, click Remove All Cookies. Mozilla Firefox is one of the Gecko rendering engine based web browser developed by Mozilla Corporation. Through the work of many volunteers, this free browser has become what it is today, a huge success. This browser is particularly popular with home users, because this browser versatile and highly expandable with many extensions which you can obtain free here. Also webmasters choose Firefox as the W3C standard succeed better than other major browsers including Microsoft Internet Explorer. Mozilla referred to Firefox 3.5 RC3 as an updated variant of the initial RC development milestone. The release is up for grabs as a standalone download but will also be pushed as an update to testers running earlier versions of Firefox 3.5. # Improved tools for controlling your private data, including a Private Browsing Mode. # The ability to provide Location Aware Browsing using web standards for geolocation. # Support for native JSON, and web worker threads. # Improvements to the Gecko layout engine, including speculative parsing for faster content rendering. Music lovers beware! FoxyTunes supports almost any media player and find lyrics, covers, videos, biographies and more. Although the name suggests otherwise, FoxyTunes works with Internet Explorer. Faster find what you're looking for with the search assistant. Your searches better results and easier to distill relevant information from the results of your search. Common actions with the mouse and navigate with a scroll wheel. A must for anyone who want to surf more efficient and would save time. The Session Manager allows you to continue where you left off. Saves the status of all your windows so that in case of a crash or after a restart pick up the thread again. URL Fixer corrects common typos in the address bar of your browser. The Fixer has been set to errors. Com,. Net,. Org, HTTP and HTTPS automatically improved. Firefox 3.5: the RC1 is available RC 1 of the new version of Firefox is available for download. To correct the last 10 bugs its release was postponed Mozilla said last week. Firefox 3.5 Beta 4 is the sixth development milestone and fourth beta release of Firefox 3.5, the next version of the Firefox web browser. Users of the latest released version of Firefox should not expect all of their add-ons to work properly with this beta. download manager or the anti-phishing tool improved. However, the general did not look too promising when we evolved an adaptation to the design of the operating system (Vista, XP, Mac, Linux). But the two real strengths of Firefox 3 is undoubtedly the speed of page display, and especially its low memory consumption. It is available in 70 languages. Improved tools for controlling your private date, including a Private browsing mode. iYogi Acquires Clean Machine Inc.
New York, NY, May 11th, 2009 : iYogi, a global direct to consumer and small business remote technical support provider, today announced it’s acquisition of Clean Machine Inc, a provider of remotely administered PC security and performance management services. Clean Machine will operate as a separate brand under the iYogi services umbrella along with the recently lunched Support Dock (www.supportdock.com) and its comprehensive range of 24/7 technical support services for computers, printers, MP3 players, digital camera, routers, servers and more than 100 software applications. Larry Gordon, Founder of Clean Machine is appointed as the President of Global Channel Sales for iYogi. iYogi will integrate technology and innovation that Clean Machine Inc. has developed for delivering an enhanced service experience by proactively managing the health and security for PC's and Apple Computers. This acquisition also broadens iYogi's access to key markets through Clean Machine's existing partnerships. Larry Gordon's past experience and successful track record will accelerate iYogi's expansion through his focus on global alliances. "This acquisition will help iYogi to enhance our customer experience and extend our market reach to the millions of consumers that are challenged by the increasingly complex technology environment. Clean Machine's proactive maintenance and management of PCs in home and small business environment will be our launch platform for building the next generation of managed services for consumers." With more than 20 years of experience, Larry Gordon has played a variety of strategic roles in marketing, sales and building alliances. Larry was the Executive Vice President at Capgemini and Kanbay. He was also VP of Global Marketing for Cognizant (Nasdaq: CTSH), a leader in global IT services and Director of Marketing for New York based Information Builders. said Larry Gordon, the newly appointed President of Global Channel Sales at iYogi. Headquartered in Gurgaon, India with offices in New York, USA, iYogi provides personalized computer support for consumers and small businesses in United States, United Kingdom, Canada and Australia. IYogi's 24/7 phone and remote technical assistance, spans across a comprehensive range of technologies we use every day from a wide range of vendors. Utilizing its proprietary technology iMantra , and highly qualified technicians, iYogi delivers amongst the highest benchmarks for resolution and customer satisfaction. iYogi is privately held and funded by SAP Ventures, Canaan Partners, and SVB India Capital Partners. iYogi was recently awarded the Red Herring Global 100 Award, recognizing it as one of the 100 most innovative private companies driving the future of technology. For more information on iYogi and a detailed list of technologies supported, visit: www.iyogi.net. Clean Machine Inc. is a NJ-based and incorporated company that helps consumers and small business owners easily manage and protect their computing environments safely and cost effectively. The company is has a unique, powerful and inexpensive PC concierge service. Specifically, each customer is assigned a highly-trained tech concierge who remotely examines their computer system on a scheduled and very secure basis. The PC concierge will immediately fix software-based problems and prevent new threats to the customer's computing environment including offensive pop-ups, browser redirects and slow performance, and then provides a detailed report. Clean Machine's proprietary Radar(TM) technology (Remote Access Detection Audit and Repair) allows its expert technicians to remotely resolve any problems, eliminating the need for customers to go through the frustrating process of speaking with a tech support expert, and still having to do the work themselves. In other words, the Clean Machine PC concierges do it all. For more information on Clean Machine please visit www.pccleanmachine.com. New York, January 21st, 2009 - iYogi (www.iyogi.net), today announced that it has been awarded as one of the Red Herring Top 100 Companies. Red Herring Top 100 Global Companies are chosen from winners and finalists of the previous Red Herring Top 100 Companies from North America, Europe and Asia Red Herring Top 100 Companies. Winning and finalist companies from the previous three years are were eligible for this outstanding award. Out of 1,800 successful and highly eligible companies, the Red Herring editorial team deployed a detailed process to drill-down the best companies first to 200 finalists, then to the top 100 winners of this global award. Evaluations were made on both quantitative and qualitative criteria, such as financial performance, innovation, management, global strategy, and ecosystem integration. The announcement of the winners was made at the Red Herring 100 Global, which took place in San Diego from January 14-16, 2009. Present among the finalists were elite executives and venture capital leaders from around the world. "We were so pleased to announce iYogi as a Red Herring Top 100 Global Company," commented Red Herring publisher Alex Vieux." "iYogi has proven to be a company excelling in their industry and its ripples have turned into waves. It was difficult for us to narrow down, but we are pleased to have included iYogi in our list of promising companies. We look forward to the changes it makes to its industry in the future". "iYogi set out to introduce a new kind of service that would change the way technical support is delivered to consumers and small businesses. We are proud to be recognized by Red Herring's editorial team for our innovation and dedication to solve everyday problems faced by millions of consumers who are challenged by the increasingly complex computing environment," commented Uday Challu, CEO, iyogi. iYogi delivers technical support services directly to consumers and small businesses and is the first, global, technical support brand based out of India. The company offers its customers an unlimited, annual service subscription for $139.99 per desktop that includes support for a wide range of technologies, including PC hardware Microsoft Windows Operating System, software applications, peripherals and multifunctional devices. iYogi recently launched Support Dock, a comprehensive desktop application suite with PC recovery, data back-up, anti-virus and spyware removal , PC optimization, and home networking tools. Small businesses are serviced by iYogi's dedicated services group offering managed IT services enabling owners to increase productivity and maximize their return on investment. Red Herring is a global media company, which unites the world's best high technology innovators, venture investors and business decision makers in a variety of forums: a leading innovation magazine, an online daily technology news service, technology newsletters and major events for technology leaders around the globe. Red Herring provides an insider's access to the global innovation economy, featuring unparalleled insights on the emerging technologies driving the economy. More information about Red Herring is available on the Internet at www.redherring.com. iYogi delivers live, comprehensive, 24/7 technical support services directly to consumers and small businesses and is the first, global, technical support brand based out of India. Providing an annual unlimited subscription to technical support, iYogi now boasts of more than 50,000 customers. The company employs 600 professionals servicing customers in the U.S., U.K., Canada, Australia and fast expanding to 12 new geographies across the globe. iYogi's resolution rate of 86 percent and customer satisfaction rate of 95 percent are amongst the highest published benchmarks in the industry. For further information, please visit - www.iyogi.net. No longer is a beta, Google’s Chrome Web browser a capable contender to Microsoft Internet Explorer and Mozilla Firefox. However, the search company's browser not have some basic features found in IE, Firefox and Opera, and limits users who want to characterize settings and customize their browser. In spite of its shortcomings, browser users should give Google Chrome a try. Just a few short months ago, Google surprised the Web world with the make public of the beta of Google Chrome, a new Web browser direct from the search massive itself. So what does the launch of Google Chrome 1.0 mean for the Web browsing world and the Web in general? Well, the simple fact that it is from Google has a major impact, and should put the browser in a good place to fight with Microsoft and Mozilla for market share. But what about the browser itself? From a severe usability standpoint, Google Chrome is one of the most attractive and instinctive browsers I have ever used, and is probably the most impressive first version of a browser ever. Once a user gets over some of the foibles and differences from other browser interfaces (such as tabs at the very top of the window and no file menus), Google Chrome quickly begins to feel like the right way to surf the Web. Hopefully that post will help you any time you need computer repair related news, will get in that blog. Google Chrome also has some other nice touches, such as a hybrid search address bar and integration with Google Gears to provide desktop Web applications. However, not everything about Google Chrome shines brilliantly. As it has done with previous Internet Explorer (IE) releases, Microsoft has made available an IE 8 blocking toolkit to allow users to keep Microsoft’s browser from being downloaded automatically on their Windows machines. In a January 6 posting to the Microsoft IE blog, company officials noted that Microsoft is planning to push the final IE 8 release via its Automatic Update (AU), Windows Update (WU) and Microsoft Update (MU) update systems. To keep the release from being pushed, customers can download the blocker toolkit from the Microsoft Download Center. Unlike some previous versions of the toolkit, there is no expiration date on the latest blocker. The toolkit can be configured by running the registry file on client machines or via Group Policy, according to the IE 8 blog posting. Microsoft hasn’t provided a final release target date for IE 8, other than to say some time in 2009. Late last year, company officials acknowledged Microsoft would not be releasing the final version of IE 8 before the end of calendar 2008, as some company officials had claimed previously. Instead, Microsoft is planning to distribute in the first quarter of 2009 one more public test release, Release Candidate 1, before it rolls out the final IE 8. When I asked earlier this week, Microsoft officials wouldn’t comment on when IE 8 RC1 would go live.